“My parents told me stories about how the world was; what it was like long before I was born; before the war with the machines. They remember a green world, vast and beautiful, filled with laughter and hope for the future. It’s a world I never knew. By the time I was born, all this was gone. Skynet: a computer program designed to automate missile defense. It was supposed to protect us, but that’s not what happened. August 29th, 1997, Skynet woke up. It decided all of humanity was a threat to its existence. It used our own bombs against us. Three billion people died of nuclear fire. Survivors called it Judgement Day. People lived like rats in shadows, hiding, starving, or worse, captured and put into camps for extermination. I was born after Judgement Day, into a broken world ruled by the machines. The worst extinction units posed as humans. We called them terminators. And then one man found me. His name was John Connor, and he changed everything. John showed us how to fight back; how to rise up. He freed prisoners. He taught us how to slash the machines to scrap. People whisper about John and wonder how he can know the things he does. They use words like prophet, but John’s more. We’re here because tonight, he’s going to lead us to crush Skynet for good.” said Kyle Reese. This updated movie about the birth of Skynet was really fast moving and action packed. It was made to be a reboot of the whole Terminator 2 Judgement Day movie, but nothing can beat out James Cameron on his directing. I still really enjoyed this movie. 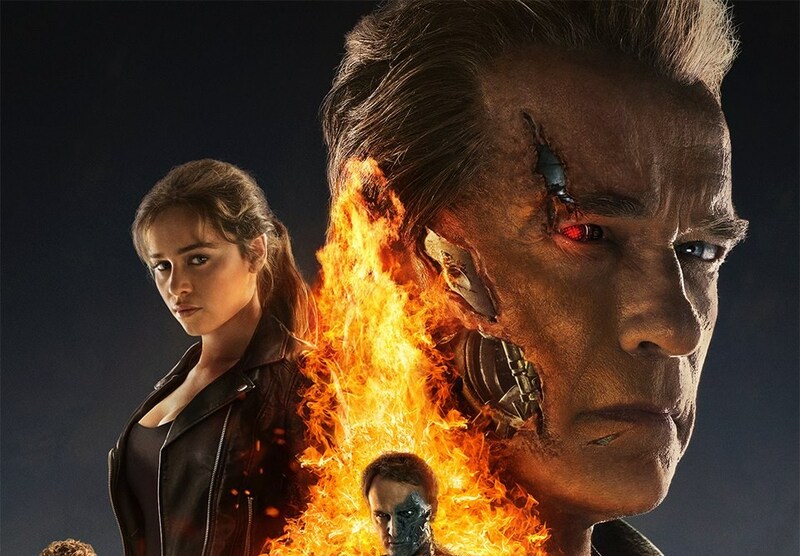 We get a physical representation of the Skynet persona, we have old Arnold Schwartzenegger reprising his role as the Terminator Protector for Sarah Conner and we have a different version of Kyle Reese who goes back in time to save Sarah Conner and Destroy Skynet. Only this version is more sinister with a rogue John Conner. I won’t give away the whole plot, you will have to see the movie for yourself. Its really an awesome thrill ride, and it has its share of fun moments as well. Oh and you get Matt Smith (Doctor Who) as the face of Skynet. The movie was directed by Alan Taylor and the score was provided by Lorne Balfe. I’m going to give you just a couple clips for this film. I really enjoyed it and eventually I’ll put it in my roster for Sunday post. You can listen to the whole soundtrack free on Youtube, but I encourage you to buy the soundtrack. Well that’s all for today, See you Sunday for Dirty Dancing! Happy Listening! Previous Previous post: Vertigo, Go Away!! !